Course Website: Official Website - Visit Kaluhyat Golf Club at Turning Stone's official website by clicking on the link provided. 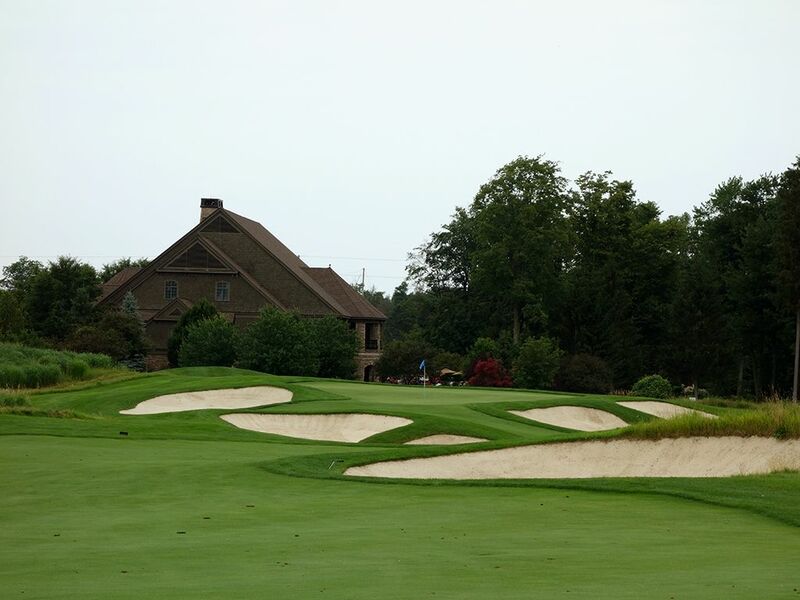 Accolades: Ranked 19th in New York on Golf Course Gurus' Best in State rankings. 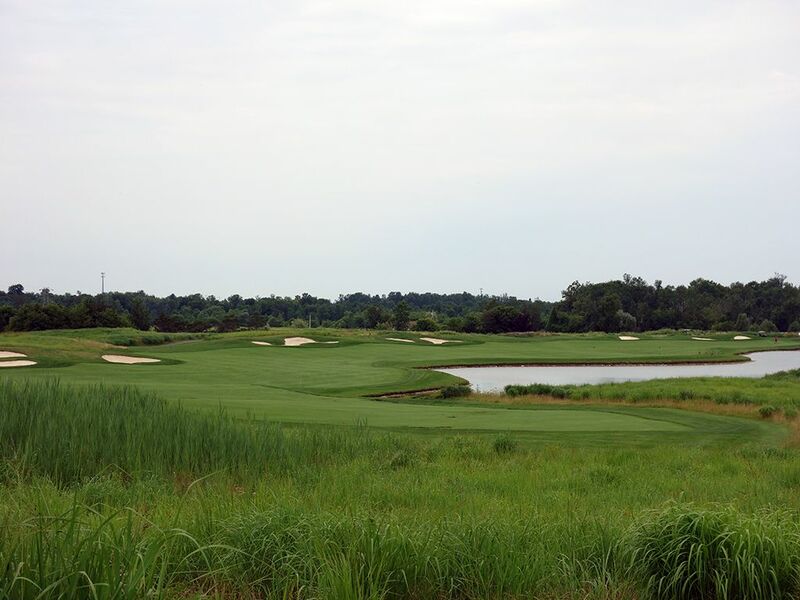 What to Expect: Kaluhyat (pronounced "ga-LU-ya") is a demanding course carved through marshland that requires your full attention from the opening tee shot to the final putt. 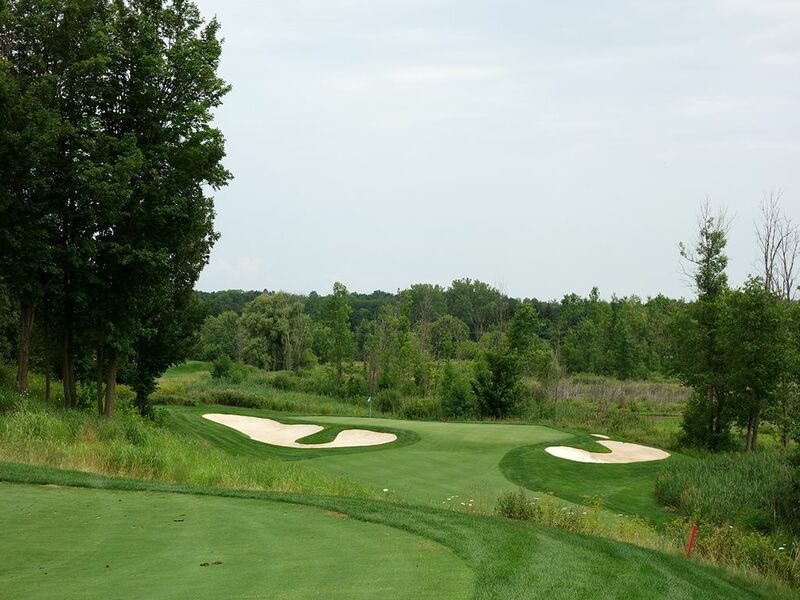 One of the three 18 hole courses at the Turning Stone Resort, Kaluhyat opened in 2003 under the direction of Robert Trent Jones Jr. 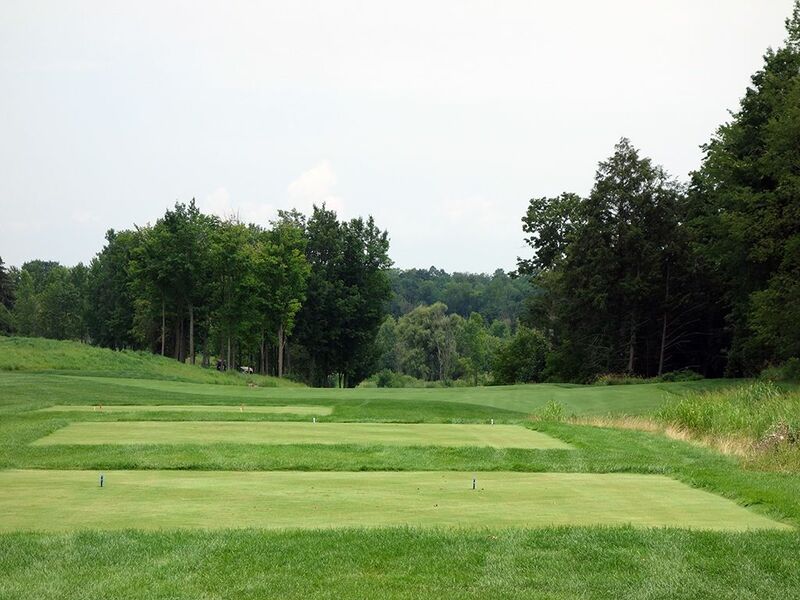 The course features a variety of elevation changes with the largest being 50 feet. A half dozen lakes are found throughout the routing which adds difficulty and esthetics to the course. The turf conditions are kept in good shape and the greens roll well which is something everyone will appreciate. 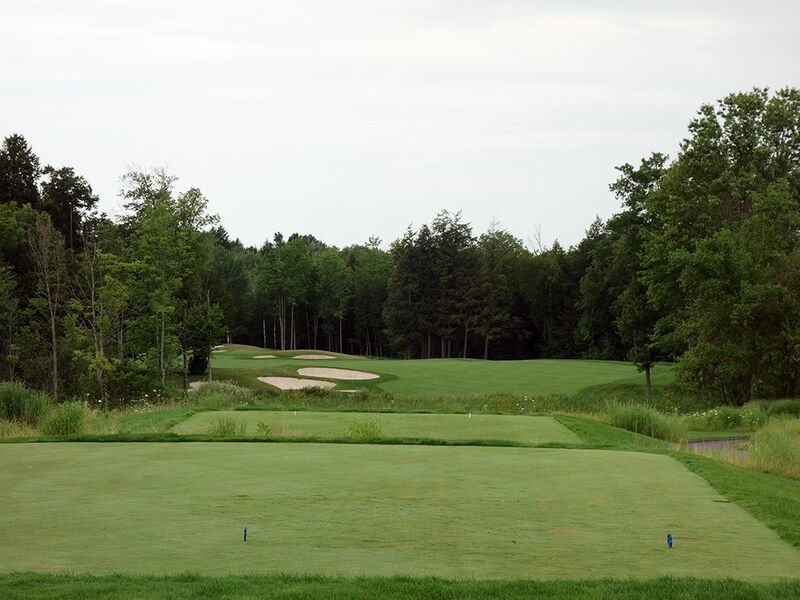 While the course features plenty of length, it is accuracy you'll need to navigate this course for any chance of scoring well or using the same ball throughout the round. 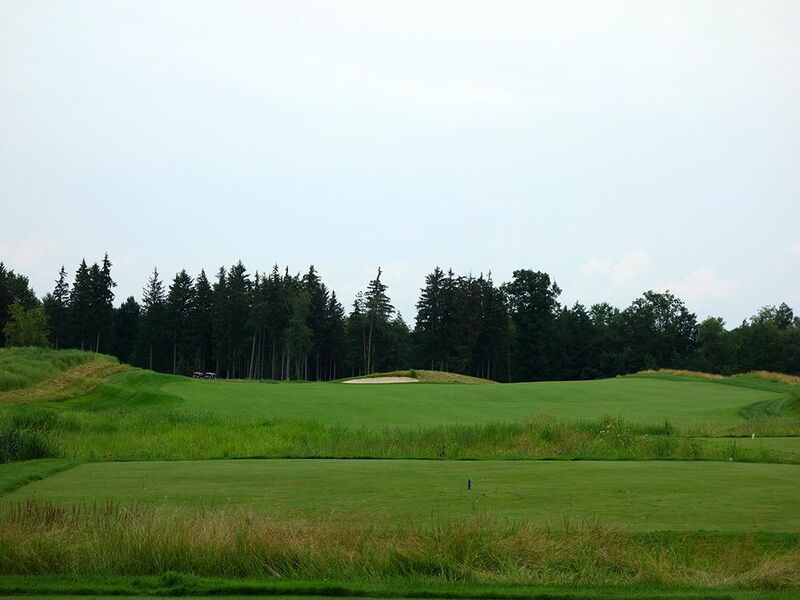 Featuring the highest slope rating of the three courses at Turning Stone, Kaluhyat plays at least a couple of strokes harder than either of the other tracks mainly because of the lost ball factor when you leave the fairway and forced carries off the tee. With the resort's desired pace of play at 4 hours and 45 minutes, you'll want to schedule about six hours between tee times to accommodate time to eat lunch. Signature Hole: 16th Hole – 431 Yard Par 4 – A blind tee shot awaits on the signature 16th hole that features a downhill drive to a fairway that tightens the further your tee shot fly. 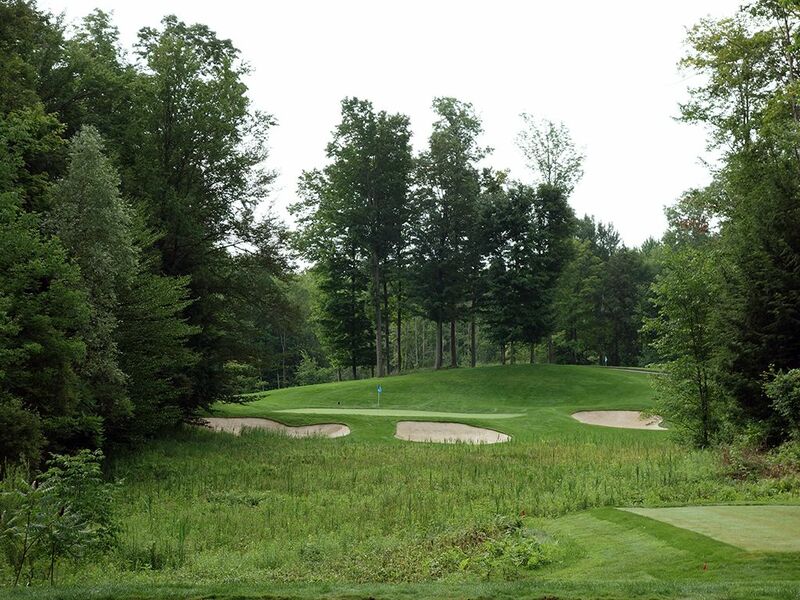 A ravine cuts through the hole 315 yards from the tips and must be carried on the approach shot to a green surrounded by a trio of bunkers. With trees and wetland grasses lining both sides of the hole, there is little forgiveness offered anywhere along the way. Best Par 3: 15th Hole – 172 Yards – Another carry over grassland is required at the final one-shotter found at Kaluhyat. The isolated surroundings and lone bunker create little distraction for the player and thus an optimal opportunity to concentrate on the task at hand; hitting the green. The forward tee box offers a straight shot at the green without a forced carry. Best Par 4: 18th Hole – 401 Yards – The closing hole at Kaluhyat offers an aiming bunker 300 yards straight ahead. Anything short of that bunker will offer a good look at the heavily protected green that is raised up and undulated. A more forgiving fairway than most at the course, the 18th gives players a final opportunity to cut loose on a driver and set themselves up for a good score to go home on. Best Par 5: 13th Hole – 558 Yards – Named "Big Water" due to the large pond that the fairway bends right around, the 13th provides a risk/reward scenario to consider. The closer your tee shot plays to the water the shorter the distance to the green will be but you'll have more water to contend with on the approach shot as well. Players looking to bail out on their drive or approach by favoring the left side will have seven bunkers to contend with along the way. It is a timeless design where the more trouble you are willing to challenge, the greater the reward if you are successful. 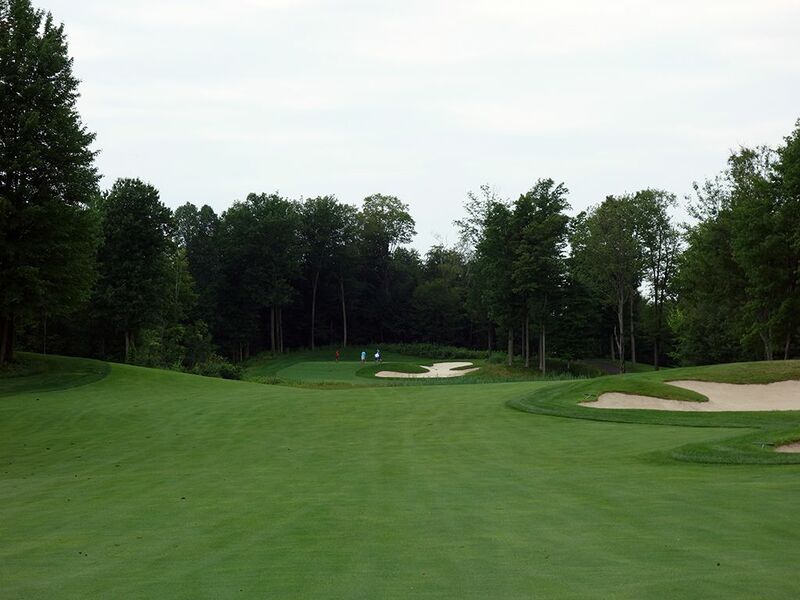 Birdie Time: 5th Hole – 155 Yard Par 3 – Although it is a forced carry the entire way to the green, the distance of this hole is short enough that every player should be brimming with confidence while standing on the tee box. 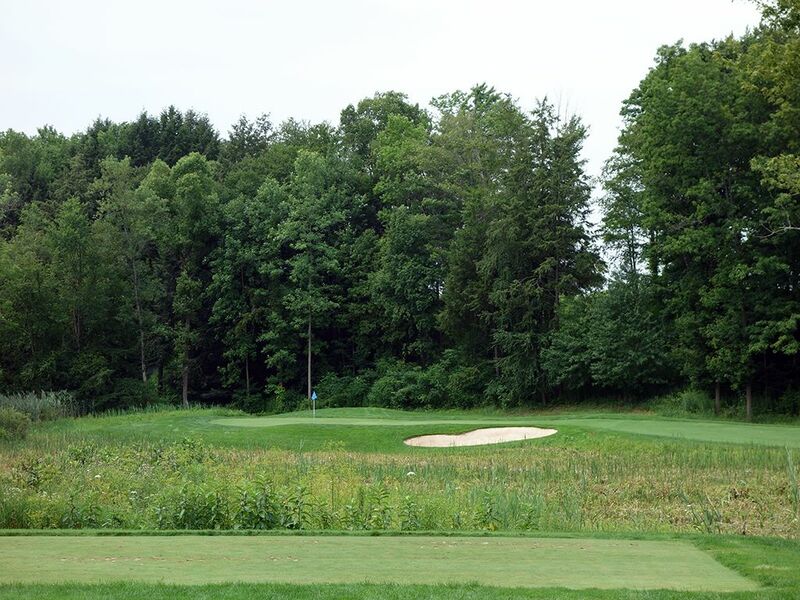 With a perfect lie and plenty of surrounding trees knocking down any wind that may be present, take dead aim at the flag and give yourself a chance to roll in a putt on one of the easier greens to roll the rock on. Bogey Beware: 11th Hole – 621 Yard Par 5 – This is a lot of yardage to cover, especially in surroundings like Kaluhyat where trouble lurks throughout. First, you'll need to carry the two fairway bunkers on the left side of center which will requires flying the ball 250 yards. From there the fairway bends left and tightens in a neck where trees and bunkering squeeze the playable area. A wetlands area bisects the fairway 120 yards from the green so players will have to decide whether to challenge it with their second or third shot. Finally the 26 yard deep green awaits with a gentle slope across the putting surface which can be difficult to property judge with the flat stick. Patience is the key on this hole, so don't be a hero and see if you can manage something better than a bogey.